Exploring the role of Magna Carta in the politics and popular culture of modern America. From The Simpsons and Jay-Z to the American law courts and the ‘War on Terror’, discover the significance of Magna Carta in the USA today. The United States is sometimes called a nation of lawyers, given its litigious culture. It certainly places a special weight on the laws and documents that founded it, from the Declaration of Independence to the U.S. Constitution and the Bill of Rights. Among these native texts, an English document also holds a special place as a historical source of the rule of law and the preservation of freedom. Found to be indispensable for the arguments of the American revolutionaries, Magna Carta informed the new republic’s new constitution, and continued to underpin legal training and, on occasion, legal arguments during the 19th century. By the 20th century, medieval events at Runnymede were firmly rooted as part of the American national backstory: a status underscored by its inclusion as one of the historical scenes included on the great brass doors installed at the entrance to the Supreme Court in 1935. 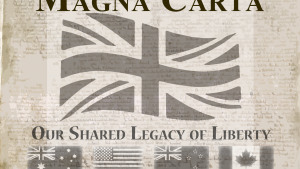 The focus on American values and way of life during the hot and cold wars of the 20th century ensured that Magna Carta gathered a cultural weight as a symbol of the special characteristics of the land of the free. 800 years after its sealing on the other side of the Atlantic Ocean, Magna Carta’s place in American popular culture is such that it could be discussed by the Late Show host David Letterman when he interviewed the British Prime Minister, David Cameron in 2012. Tellingly, the host and Prime Minister agreed that Magna Carta contained the ‘seeds of democracy’. This may be news to the animated everyman (and dunderhead), Homer Simpson. In one episode of The Simpsons, he visits a library denuded of books and which had been transformed into a multi-media centre in an attempt to assist with some history homework. Marge helps out by telling the children some historical stories, with Homer playing the part of a gluttonous Henry VIII who wipes his greasy lips on the historic document. Although Homer has no clue about the importance of his impromptu napkin, the viewers are expected to get the joke. His daughter, Lisa, certainly knows about the document as her Magna Carta Song from another episode attests: ‘In 1215 at Runnymede!/Doo dah, doo dah!/ The nobles and the King agreed! Oh, doo dah day…’. 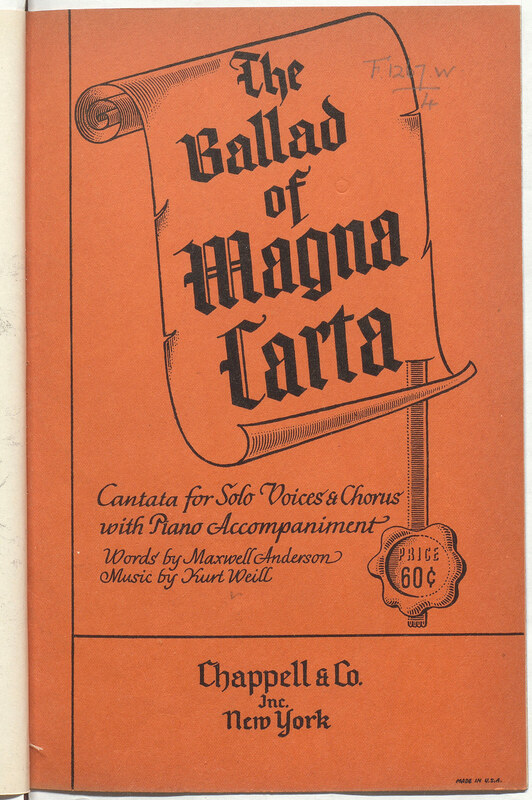 It (Magna Carta, not Lisa’s song) remains a political and cultural touchstone, one whose cultural cachet was made use of by Jay-Z in the naming of his 2013 album Magna Carta… Holy Grail, the launch of which included a visit to the copy of the 1215 Charter held at Salisbury Cathedral. We have travelled a long way from the field at Runnymede, to a place where the charter can be at once a symbol of democracy, a somewhat boring matter for history lessons, and, for Jay-Z, fuel for a lyrical attack on the racial legacy of slavery and the need to tell different history lessons. Jay-Z is not the only interested party to have appropriated the Charter. In the 1930s and 40s, the British government, for diplomatic ends, attempted to nurture strong relations with successive American administrations by exploiting the high regard with which Americans hold Magna Carta. The British Pavilion at the New York World’s Fair of 1939 had at its centrepiece a ‘Hall of Democracy’, putting on public view a copy of the 1215 Magna Carta lent by Lincoln Cathedral. 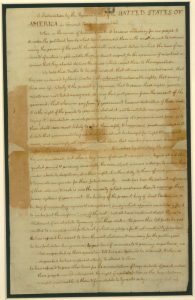 Next to it stood a genealogy of George Washington, implicitly linking the document to the 150th anniversary of American Independence. 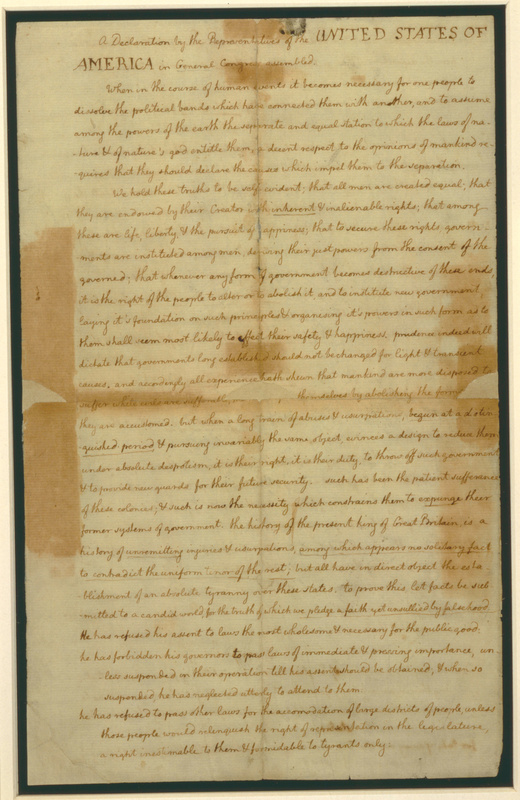 For good measure, every school in America was sent a copy of the text of the charter too. With the outbreak of war some months later, Magna Carta was stranded in New York. As an increasingly isolated British Empire confronted the Fascist threat, it sought to emphasise the historical links and values it shared with the United States, starting with Magna Carta. 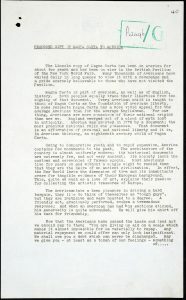 The Foreign Office considered gifting the stranded document to the United States as a symbol of this friendship and shared liberal heritage in the hope it would encourage pro-democratic and anti-fascist sentiment leading eventually to American entry into the war. 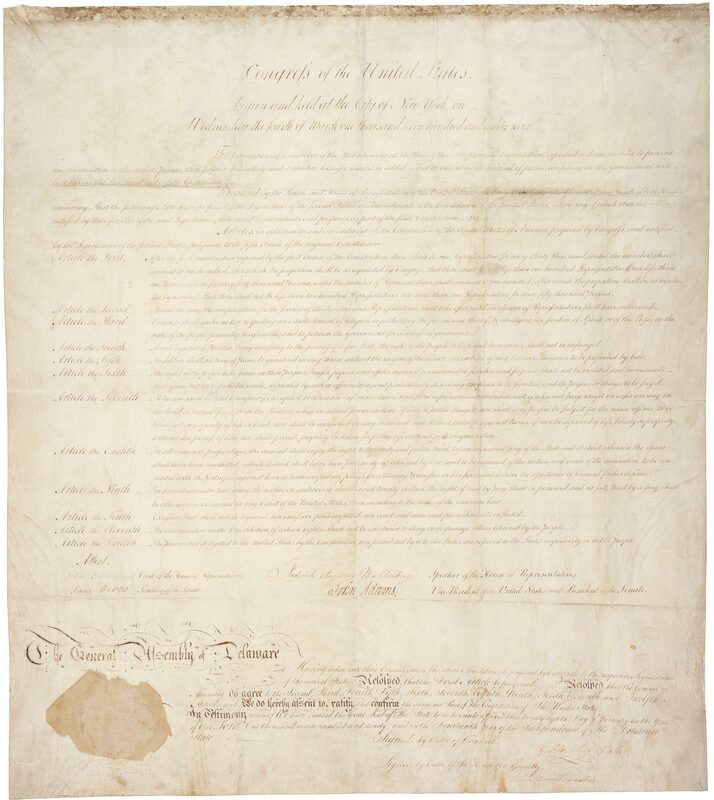 Ultimately, the arrangements to gift the charter to America proved too complicated and were eventually dropped. 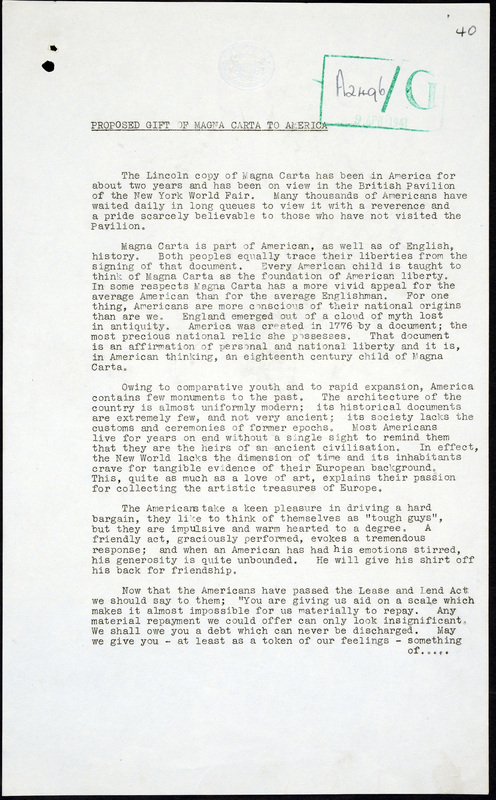 Following Pearl Harbour, Lincoln’s stranded Magna Carta was sent to Fort Knox where it was safeguarded along with $21 billion in gold bullion, demonstrating its cultural value for the American people. 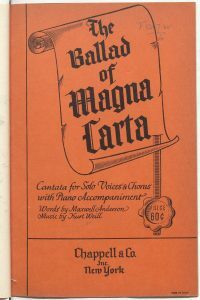 With similar pomp and desire to attest the currency of the ‘special relationship’, a 1215 copy of Magna Carta returned to the States in 1976 to celebrate the bicentenary of American Independence, also helping to underscore the historical strength of Anglo-American relations during the Cold War. 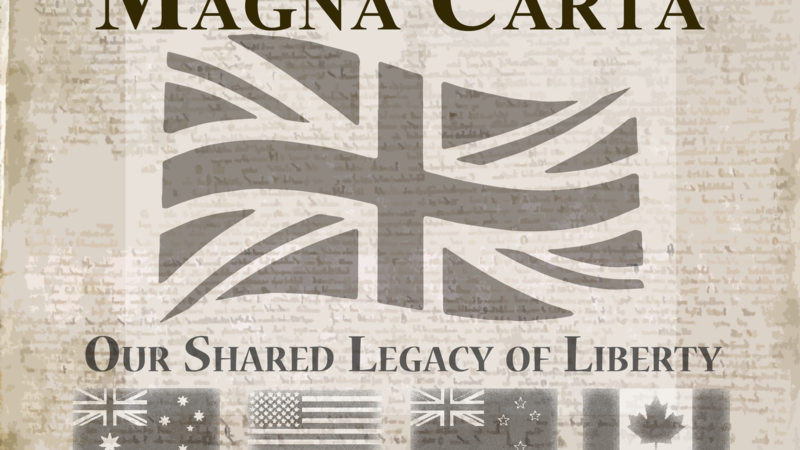 Although Magna Carta is more a judicial talisman than effective legal instrument, it consolidated its position in the popular imagination as a symbol of freedom and democracy. The American experiment could be depicted as a descendant of the barons’ resistance to King John (r.1199-1216) at Runnymede in 1215, encapsulating American values through historical parable. Kurt Weill’s score and Maxwell Anderson’s lyrics for the cantata The Ballad of Magna Carta, which was performed in New York in February 1940 on the CBS radio show The Pursuit of Happiness, explicitly attacked fascism and aligned the actions of the barons to American Revolution values: ‘Resistance to tyranny is obedience to God’, it concluded. Such are the values contained within Magna Carta that both sides of the political spectrum can claim them. 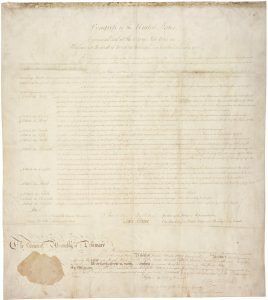 For the right, the charter underscores the lineage of property rights and the importance of the rule of law to ensure reliable, stable markets, essential to capitalism. For the left, it is vaunted as a document securing civil rights for the citizen against arbitrary government. By the mid-20th century, Magna Carta had come to stand as an early — and still powerful — statement of freedom and the rule of law, and became closely associated with the newer concept of human rights. Confronted by military conflicts and political crises, a series of manifestos and charters called for a Magna Carta for the 20th century. H. G. Wells campaigned for a declaration of The Rights of Man (1940), while President Franklin Roosevelt’s declaration of ‘Four Freedoms’ (1941) offered a vision of what the Allies were fighting for. 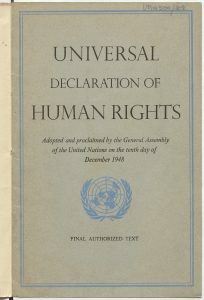 In the post-war era, the United Nations and the Universal Declaration of Human Rights (1948) traced their origins to calls for a Magna Carta for the ‘common man’ (more inclusively rendered today as ‘for all humanity’), something that would have been entirely alien to those gathered in 1215. 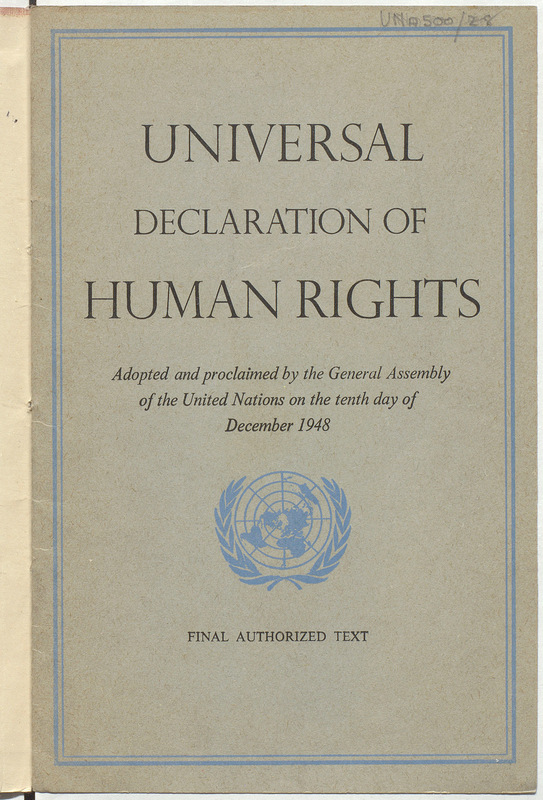 As Eleanor Roosevelt stated, the UN Declaration was to be ‘the international Magna Carta of all men everywhere’. A melange of ideas, events and myths continues to be apparent in Hollywood fare, including Ridley Scott’s Robin Hood (2010). For Robert Bly, in the poem ‘Remembering Oslo in the Old Picture of the Magna Carta’ (1960), it has slipped into subconscious memory, part of a collective history and dialogue between the past and the future. It is a white, European past, of course; something that Jay-Z is surely contesting. As well as its part in fashioning American national consciousness, Magna Carta is repeatedly deployed in legal argument. Magna Carta is regularly cited in American courts, often with a certain amount of legal hyperbole, something that similarly occurs on the floor of the Senate or House of Representatives. Until a New York ruling in 1899, courts regularly stated the right to trial by jury lay in the Charter, and as late as 1968, the Supreme Court felt it wise to note that the historians did not recognise this legal pedigree. 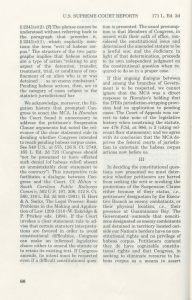 It appears in over a hundred Supreme Court judgments, and is cited in other courts, most often in arguing that a case has to be brought to trial and be subject to law. Such issues have been particularly acute as a result of the United States’ involvement in overseas wars. Following the defeat of the Axis Powers, the U.S. occupied much of Germany and the former Japanese Empire. The treatment of prisoners and the trial of former Nazis and Japanese war criminals raised important points of law, not least about habeas corpus and the jurisdiction of American law. The trial Johnson v. Eisentrager (1950) examined the issue of whether habeas corpus applied to those being held for charges of war crimes. Could aliens appeal to the ancient writ, or did its jurisdiction not apply in occupied lands? Such questions of principle were again raised in the 1990s. During the impeachment of President Bill Clinton and the Paula Jones case (1994), Magna Carta was used as an argument against executive immunity. It was argued that the writ could hold presidents to legal account, just as it did medieval kings. The United States’ response to the attacks on the World Trade Center in New York and the Pentagon, Washington, DC, on 11 September 2001 was legislative as well as military and diplomatic. A raft of legislation, notably the Patriot Act, introduced laws designed to give the government greater powers to investigate terrorist activity, while suspected terrorists have been detained and interrogated at American bases and by other countries working with the American intelligence and security services. American forces and arms, notably unmanned drones, have acted beyond the United States’ borders against an enemy which did not easily fit into existing legal definitions of foreign powers. 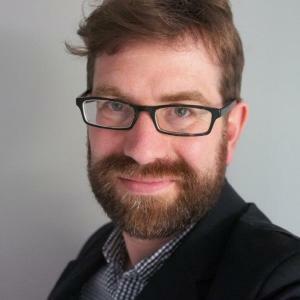 In particular, the legal status of detainees at the Guantánamo Bay Naval Base on the island of Cuba has raised questions about Magna Carta’s writ and for whom and where habeas corpus applies. In Boumediene vs Bush (2008), the court considered the case of Lakhdar Boumediene, a suspected terrorist and citizen of Bosnian Herzegovina who had been detained at Guantánamo Bay in Cuba. In 2008, the Supreme Court came to a majority opinion that detainees ‘may invoke the fundamental procedural protections of habeas corpus ’. 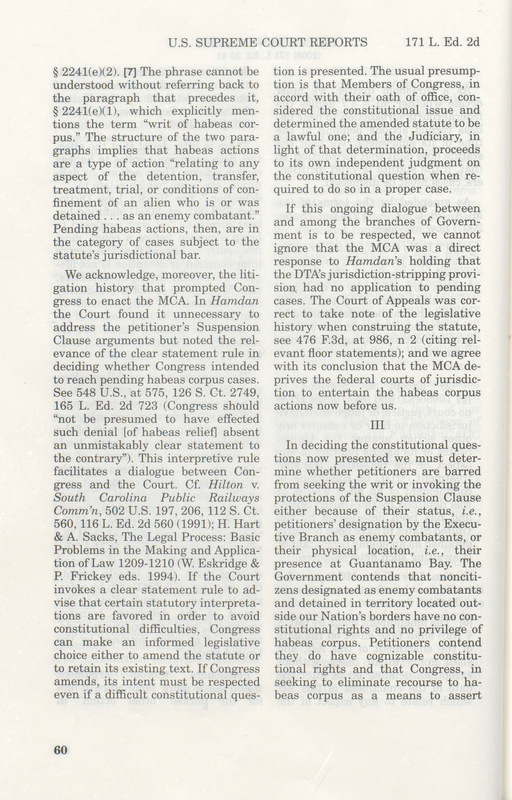 The majority opinion of the Court begins with a lengthy discussion of the history of habeas corpus and the jurisdiction of Magna Carta and concludes that the detainees on American de facto territory (such as Guantánamo Bay) could claim habeas corpus, or the right to have their detention tested in court. The dissenting Supreme Court judges regretted the ambiguity the judgment brought to the detention of military prisoners, and noted that few benefited from the judgment, including ‘the Great Writ, whose majesty is hardly enhanced by its extension to a jurisdictionally quirky outpost ’. Magna Carta’s place in the popular imagination, as well as its part in legal debate, looks secure. It offers an easy shorthand with which to talk about rights, no matter of what kind. For example, when New York City introduced a Bill of Rights for taxi riders, a New York Times journalist quickly called this a ‘Magna Carta of hack hirers’. The rare sales of later issues of the Charter reach record figures in auction houses, and are competed for as trophies by the ultra-wealthy. When David Rubenstein purchased a copy of the 1297 issue of the Charter for $21.3 million, a labour union published a list of ten reasons why he may have bought it. Number 7 was, ‘Being called a nouveau billionaire doesn’t carry same cache as the term “medieval baron.”’ That 1297 copy (kindly on loan from Rubenstein) now sits next to the Declaration of Independence and the Constitution in the rotunda of the National Archives in Washington, D.C. When other copies of Magna Carta are displayed in temporary exhibitions in America great lines of visitors still appear. As a physical object, copies of Magna Carta have retained, and if anything, have intensified their power as objects of curiosity. The Charter’s meaning remains somewhat more fluid, offering something for both the left and right of the political spectrum. As Jay-Z has demonstrated, Magna Carta is a totem of authority and a means of drawing attention to the historical abuses of power, many of which are still with us today. ‘The Simpsons: Realty Bites’, season 9, episode 187, 7 Dec. 1997. This is a play on The Preamble, a sung version of the U.S. Constitution from America Rock, a 1776 ABC cartoon. This entry was posted in England, History, Medieval, Middle Ages, United States. Bookmark the permalink.